We all take glass for granted; it surrounds us at work and at home. In spite of its wide range of use, glass does not always comply with our requirements for security, safety, privacy and appearance. Windows put your security at risk as glass surfaces attract thieves and vandals. Glass may break during heavier storms and or as a result of an accident. Security film provides a solution for increasing needs in terms of security and safety. The film offers protection from potential thefts and also provides direct protection from sharp and dangerous shards of glass. Security film also protects your property and house from damages, be it an explosion, accident or a case of vandalism. 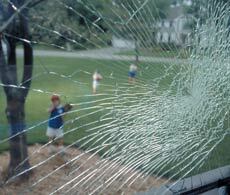 In the case of glass damages, flying and loose glass is the main cause for death and injuries. 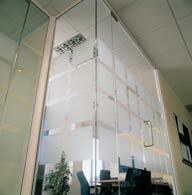 Security film installed on glass improves the glass’s resistance to impact. Security film’s secret lies in a special patented composition which keeps the glass attached to the film even after several impacts and shocks. If the glass cracks or breaks, security film keeps its pieces together and the window remains in its frame. It may only take a few minutes for a thief to break the glass and gain access to property valuable for you, be it your laptop, jewellery or confidential documents. It is recommended to use both security film and an alarm system. Due to the elasticity of the film it is more difficult to penetrate the glass and this gives you more time and most likely an opportunity for saving your property…. Security film offers protection from harmful UV-rays and significantly prevents discolouring of things and furnishings. Tinted security films are also available. The selection includes films with mirror surfaces, which reject blinding sunlight, save heat and provide protection from the discolouring effect of the sun. Decorative films can be used for countless purposes. Films help imitate various materials, block light and reduce transparency, increase privacy and add colour to boring glass surfaces. Matt films let light through but remain opaque. Opacified films can be used everywhere to provide privacy: partition doors, dressing rooms, windows. Blocking films are not transparent. They are particularly suitable for offices, shops and working premises where it is necessary to gain wall space on the account of windows. Coloured films help create various design elements for buildings and vehicles. Many colours are available, most common are amber, bronze, copper, neutral, silver grey, bluish grey and smoky grey.